Norway meets Iceland in wildly inventive ambient-gothic improvisations recorded in an abandoned Reykjavik warehouse Jo Berger Myhre and Ólafur Björn Ólafsson have created a strikingly original sound-world that, while it may have its antecedents, doesn’t really remind you of anyone else. Despite a dodgy tendency towards what might be called geographical or even metereological determinism whereby we attempt to identify and define art according to where in the world it comes from, and whether it was likely to be sunny or rainy, warm or cold, it’s impossible to ignore issues of provenance. Perhaps because music is the most abstract of the arts, it can’t help but absorb and reflect aspects related to its conception and production, which are then reflected once again by the experiences and imagination of the listener. If the music is truly open, these associations have room to grow and deepen. 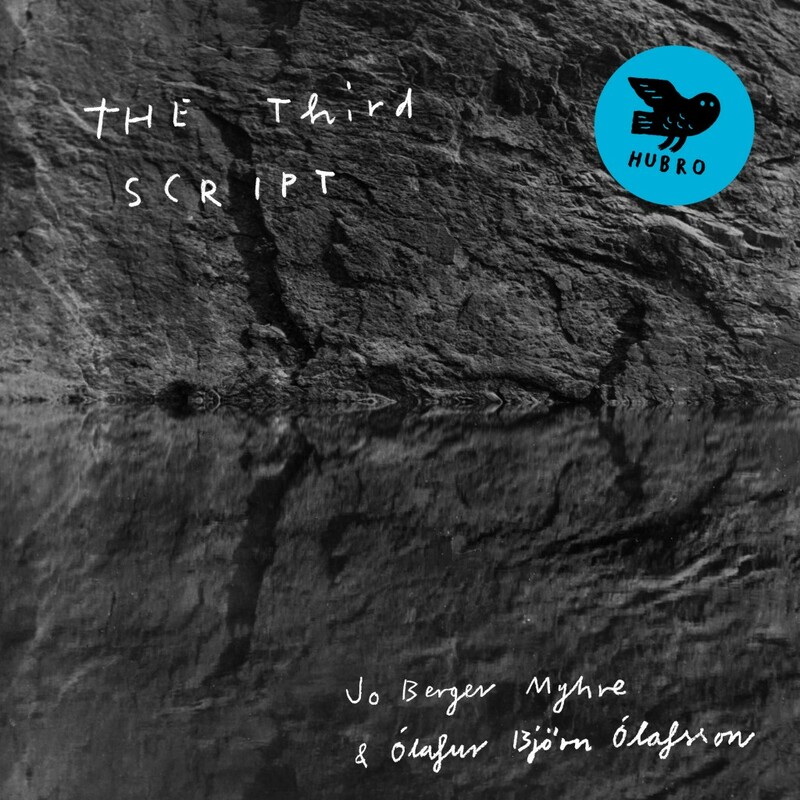 So it is with the thrillingly vivid and allusive contents of ‘The Third Script’, made in a Reykjavik studio by a Norwegian, Jo Berger Myhre (double bass, electronics), and an Icelander, Ólafur Björn Ólafsson (keyboards, drums). ’The Third Script’ also appears to progress organically from one mood or musical event to another, as if part of some natural process suggesting the flow of water or play of tides (and, from there, perhaps, to the context of ambient music identified by David Toop in his book ‘Ocean of Sound’). “With the exception of the track ‘1000%’ which is composed, it´s an improvised album with a few overdubs”, says Jo Berger Myhre, who has worked with Splashgirl, Nils Petter Molvaer and Susanna, among others on the Norwegian improv/jazz scene . “We spent a lot of time working on the sound of it, trying to achieve a detailed graininess, if that makes any sense.” Although the four pieces over two sides that go to make up the album are varied and far from monotonous, the music is typically so sparsely populated, and its sense of space and scale so immense, that it’s as if one is being deliberately invited to fill in the gaps to provide both detail and motive. There’s a rough, fingerprinted patina to the sounds themselves: the scrape of a stick across the concentric metal-rings of a cymbal, or the hairs of a bow across the coiled-wire strings of the bass, which once sampled can make a drone that might go on forever. Just as we are seemingly invited to register associations with a sense of place or the natural world, we can also make historical connections that begin to situate the music within a particular tradition, as when a specific keyboard voicing might suggest, say, the early ambient recordings of Brian Eno. The timbre of the Farfisa organ can bring to mind the minimalist experiments of Terry Riley, or Indian-sounding ‘I Am the Walrus’-strings the milieu around Pandit Pran Nath, LaMonte Young and their disciples in the downtown New York City boho scene of the 1960s. From Terry Riley we can move to John Cale and from Cale to the Velvet Underground and Nico, and from there to, well, everyone… But whatever its influences and whatever the associations a listener might bring to it, ‘The Third Script’ is very much its own text. The sheer sound of the album is a work of art in itself, too. Mastered by Deathprod (Helge Sten), at Audio Virus lab in Oslo, with everything written, performed, recorded and produced by the two principals, with Ólafsson also responsible for the album’s final mix, it’s a record that demands to be heard, preferably on vinyl in the old style: Side A followed by Side B.